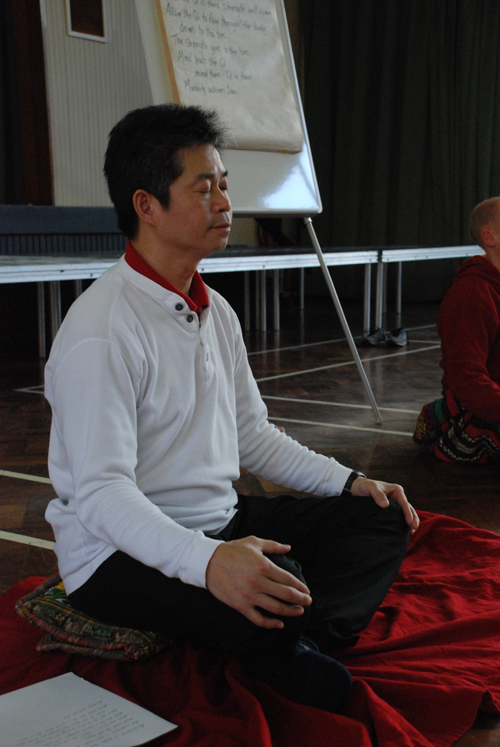 Once we have found the good position for our Lotus Meditation we then need to make ourselves comfortable so that we can sit for a long time. Relaxation is the key and it is the most important thing. In the beginning we just concentrate on our relaxation and let everything happen naturally. When we do this we can easily find blockages in any part of the body and this is because our Qi flow throughout the body and if there is a problem it will cause us discomfort. If it is a slight blockage we might feel tingling or a little bit stiff, sometimes our saliva will taste bad and we can also hear our stomach making noises and we might even break wind. 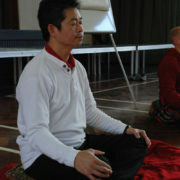 These are all good reactions as it is our Qi working to balance our internal organs. If we have a serious blockage or illness, we can feel pain in that area. If this happens we should not panic, in fact we should concentrate on relaxing that area more. The pain is due to our Qi trying to break through the blockage and so we must be patient and keep relaxed. In the end the pain will go and we will feel better. This is how we use meditation to heal ourselves. However we do not need to do Lotus meditation to heal ourselves any meditation will do such as standing or sitting on a chair or stool as long as we can relax our body then we can heal ourselves with our own Qi.